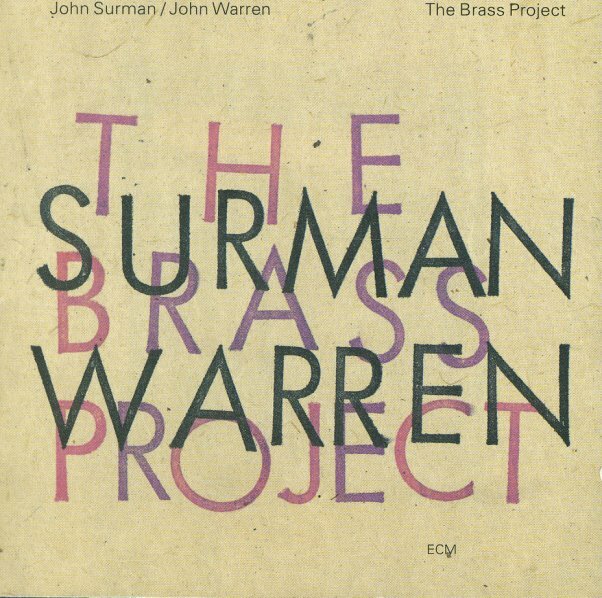 Brasses aren't usually associated with the music of John Surman – which frequently finds its more common outlet in spare spaces for the reedman's many-textured lines – but here, Surman works with a very cool larger ensemble, directed by John Warren – and filled with great work from a host of really creative trumpet and trombone players! As with other larger-setting projects, Surman often steps out front, carving lines on soprano sax, baritone, and bass clarinet – plus a bit of piano too – but there's also some exceptionally strong soloists in the group, too – as one might expect from a lineup that includes Henry Lowther and Stephen Waterman on trumpets, and Malcolm Griffiths and Chris Pyne on trombones. The group also features John Marshall on drums and Chris Laurence on bass – and titles include "The Returning Excile", "Silent Lake", "Wider Vision", "The New One Two", "All For A Shadow", and "Mellstock Quire/Tantrum Clangley". © 1996-2019, Dusty Groove, Inc.